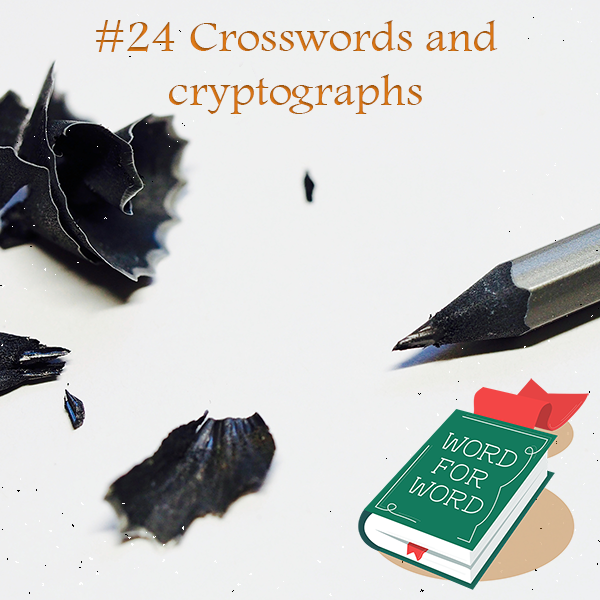 Can a cryptic crossword really preserve your memory and super-charge your brain? Australia's favourite cruciverbalist, David "Don't Attempt" Astle, investigates. 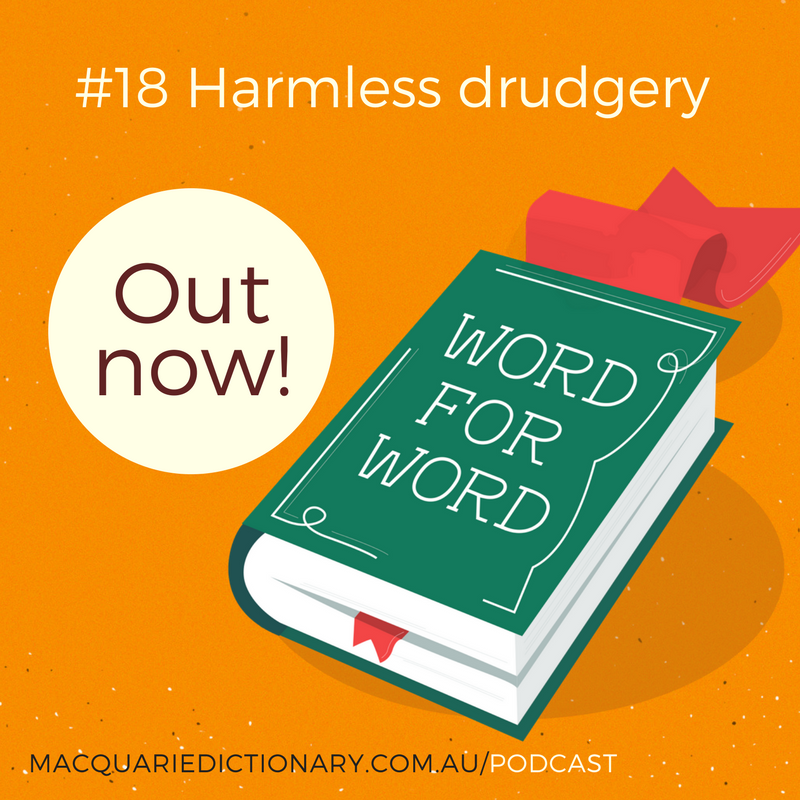 Meanwhile, the Macquarie team decrypts linguistic mysteries, ciphers and puzzles, and the conversation takes them from Ancient Egypt to your local butcher's shop. In Indigenous cultures, traditional languages are bound up with family, history and place. 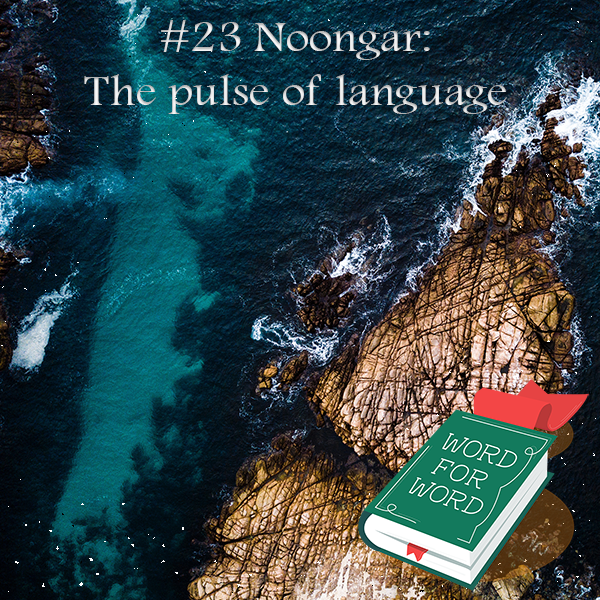 In this episode, we meet three Noongar people - Miles Franklin-winning novelist Kim Scott; music historian Clint Bracknell; and performer and director Kylie Bracknell - to ask how an ancient, endangered language can live and thrive today. When it comes to bugging a suspect, re-interpreting a dusty statute, or presenting evidence in a criminal trial, the shifting tides of language draw the law with them. 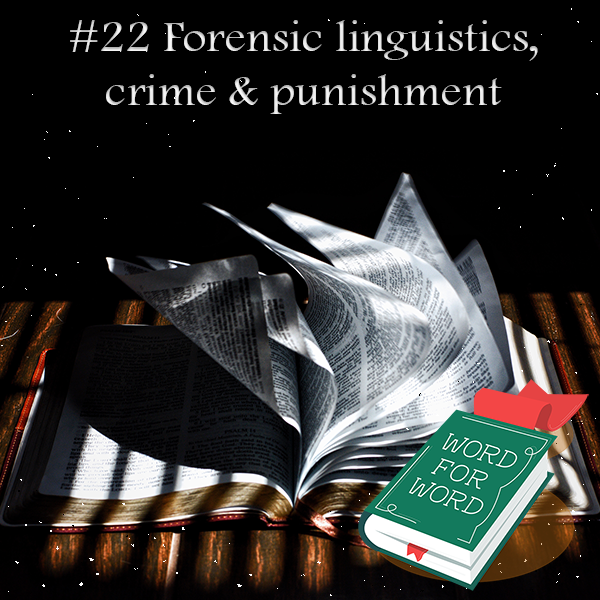 In this episode, forensic linguist Helen Fraser tests our ear-witness fallibility with speech evidence from a real-life murder case. Plus, the Macquarie team remembers that time they had to investigate a ransom note. Surprise! We're back with another bonus episode, featuring some funny, fascinating, unaired tidbits from Season 2. Subscribe now on iTunes, Soundcloud, Stitcher, or your favourite podcast app to get the latest episode delivered direct to your inbox. So...we have news. It's officially the end of an era. Our long-time Editor Sue Butler is putting away her pencil and catalogue cards to retire, after 48 years at Macquarie Dictionary. 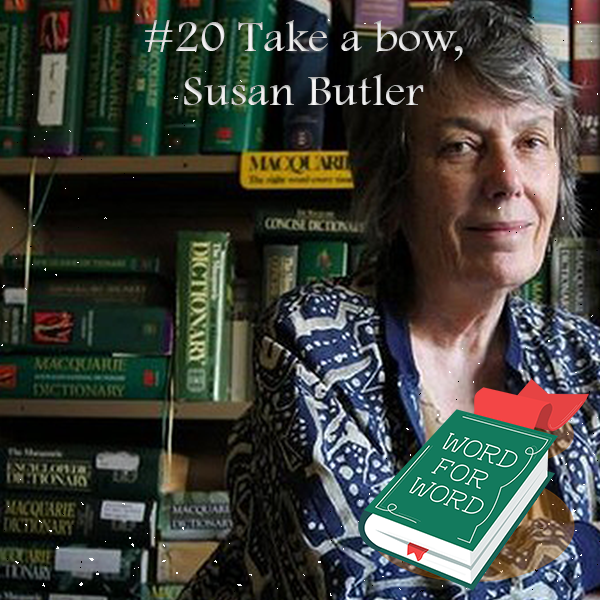 Join us as we look back with Sue at her incredible career in words. It's that time! 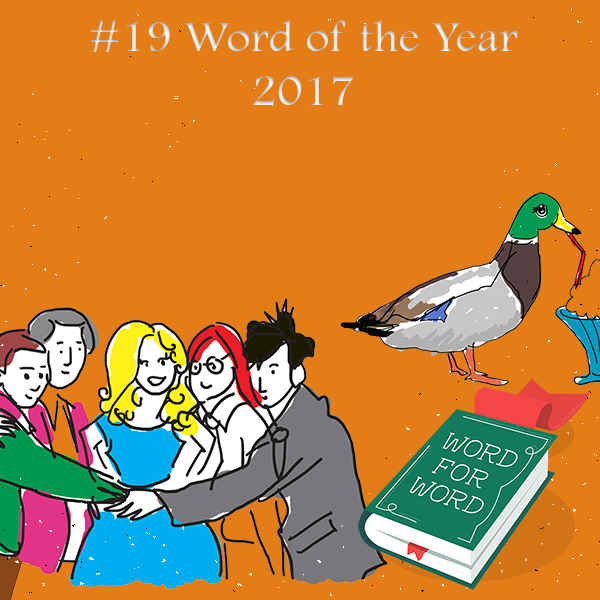 Take a peek behind the scenes with us as Macquarie Dictionary chooses its 2017 Word of the Year. We sidle into the secret Word of the Year committee meeting, featuring guest judges Dr Karl and Tiger Webb of ABC Language. The editors lament the worst evergreen query - "But It's Two Words!" - and throw a tiny bit of shade at other dictionaries' picks (youthquake, anyone?). And finally, Adrik overcomes an obstacle. It takes a special kind of person to be a dictionary editor. You need an instinctive understanding of language, a sharp, ever-listening ear, and the ability to laugh off death threats (really). 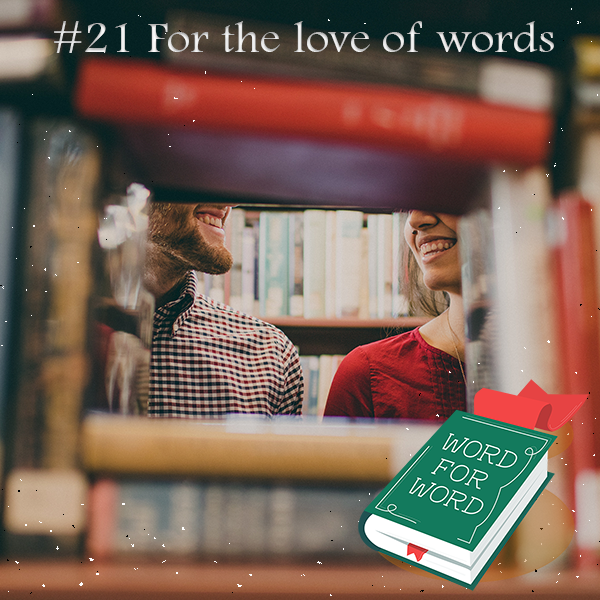 In this very special episode, Merriam-Webster's Kory Stamper and Macquarie Dictionary's Alison Moore discuss both the drudgery and the delights of their work, as we journey into the secret heart of the dictionary editor. Buckle up for a wild ride down the Information Superhighway, and into Cyberspace, where language moves faster than we can catch it. 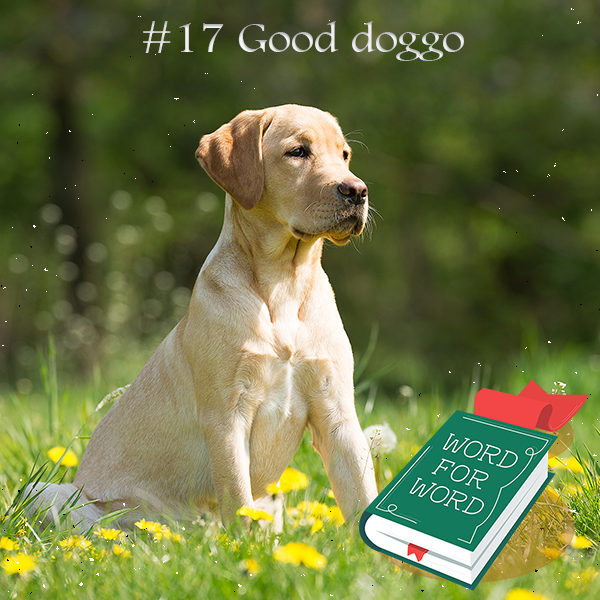 While the dictionary team reflects on the technology words of the past, our resident internet linguist Gretchen McCulloch fights the good fight on hyphenated email; Adrik and Kate look for favourite words at Oz ComicCon; and we discover a brand new language online, all for the love of dogs (it's h*ckin good). This is the final episode of Season 2, but stay subscribed! There are more bonus episodes to come in the weeks ahead. Sometimes English spelling seems designed to bamboozle. How did we end up with all these inconsistencies, quirky flourishes, and spellings that bear no resemblance to pronunciation? 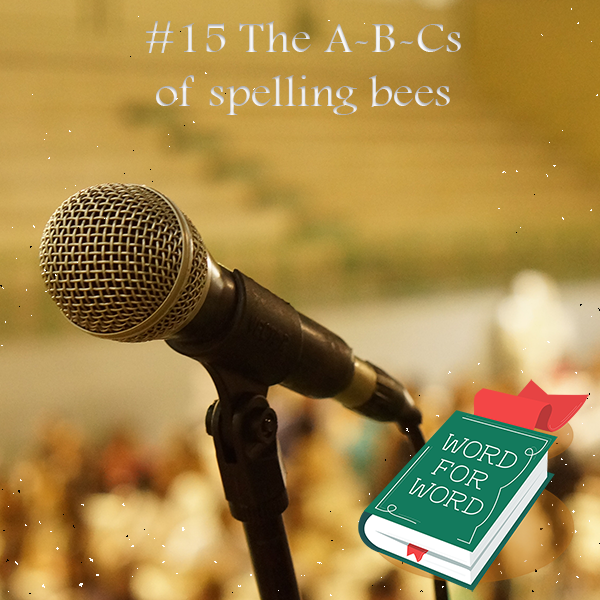 In search of an answer, the editors dig into the history of English spelling - including attempts to reform it - and hint at the secret work they do for spelling bees today. 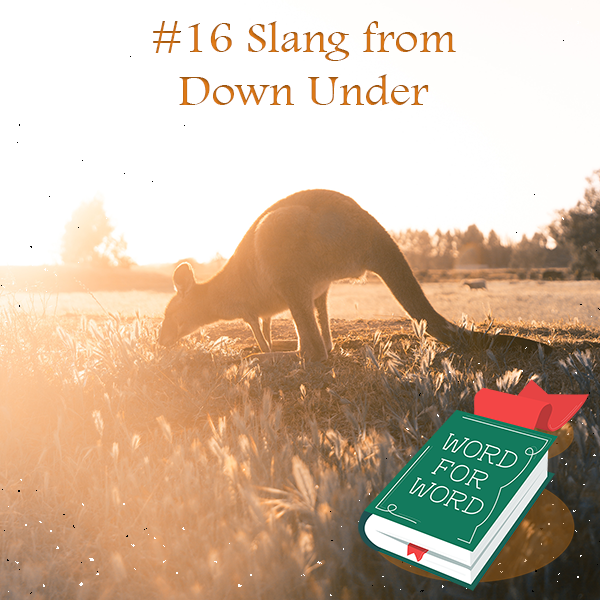 Plus, we check in with the adorable contestants of the Great Australian Spelling Bee TV series, two years on; and Adrik Kemp collects favourite words from the Sydney Story Factory. In politics, we can always point to the slipperiness of language. 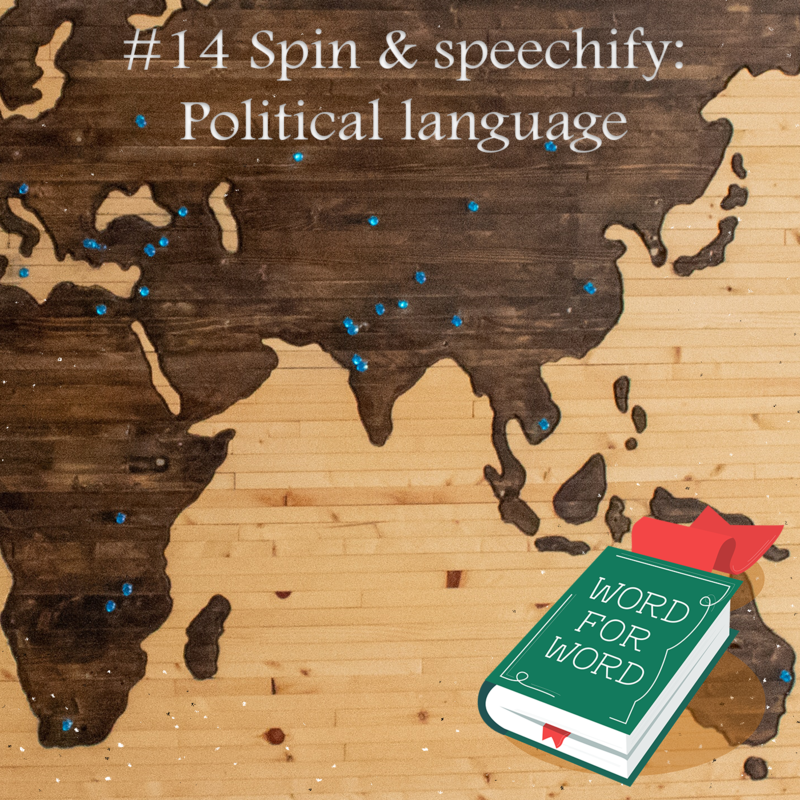 In this episode, the dictionary editors remember iconic Australian political slogans, and consider new words like "fake news" and "antifa"; we're on the hunt for favourite words at the Antidote Festival; and John di Domenico, the world's no. 1 Donald Trump impersonator, takes us inside the language of the 45th American president.